Full of character...that's Lulu. 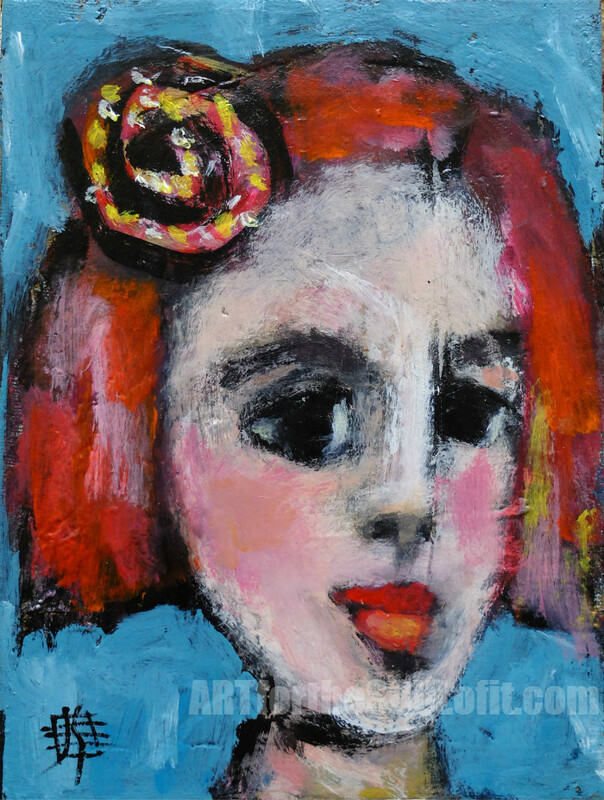 A young gal with a flower in her bright red hair. Big ole dreamy eyes. International customers, please contact me for shipping charges to your destination. Thank you.